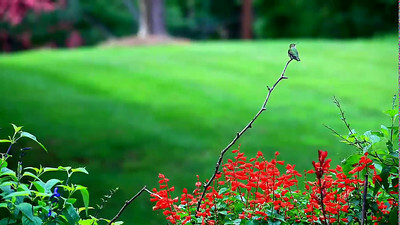 Video of ruby-throated hummigbird A young male guarding "his territory". 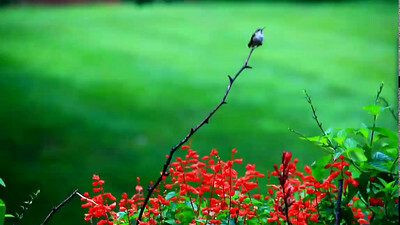 Red salvia and Blue & Black Salvia. 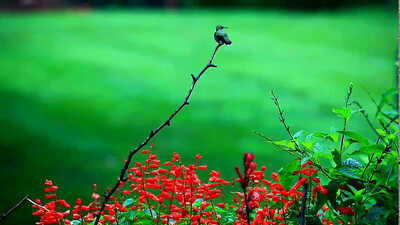 Video of a hummingbird preening himself. 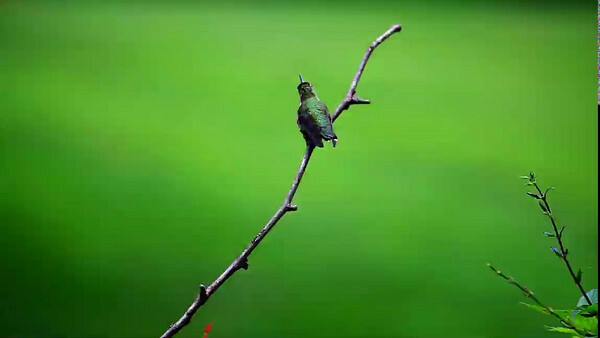 Video of a hummingbird cleaning off his beak.